Start up or established business- no one can deny that the logo is an important part of your process. 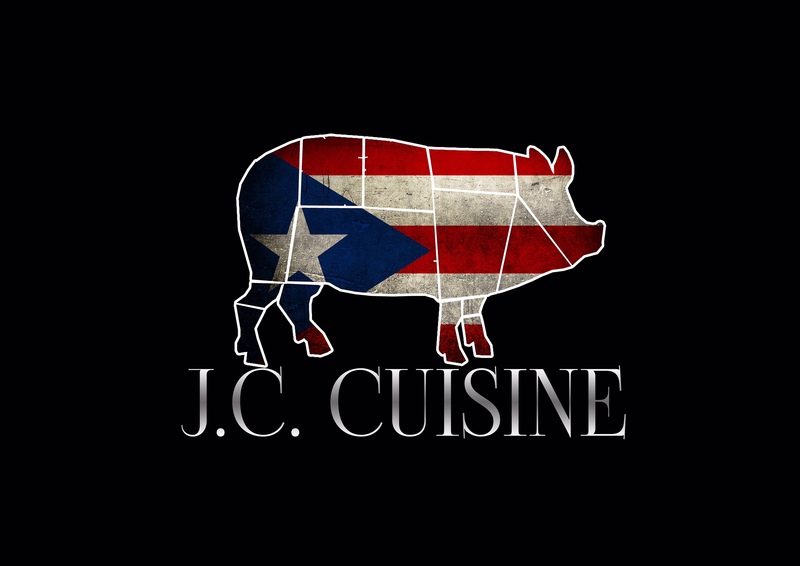 Here’s an example of a little logo we put together for a Latin cuisine that specializes in pork roasting. For this business you can see two things were very important to them. For one, the flag and Two they work with pork. You can see a strong logo definitely sets the pace for this business. It’s also geared toward a male marketing niche. While this is not commonly something we offer our clients we do digital design work from time to time. As you work with your designer for logo, wrap, signage or business cards make sure you convey what you are hoping to accomplish. When you are thinking about logos – you should think about what you are presenting to the client, are you marketing more towards men or women, what their demographic and age group is, what colors appeal to them, and what means you will normally be marketing. Many businesses have both a black-and-white and a 2 to 3 color mock up. Details for an Internet image may be different from T-shirt or the side of a food truck. What to talk more logo? Come on in to the Frog. ← Why 2017’s biggest food trend will be the soda tax.